This might be one of my favorite soups of all time. First of all, it’s delicious and loaded with flavor – garlic, onion, herbs, and Italian sausage! Second, it’s super soul-warming on a cold fall or winter day. Third, it only takes about a half an hour to make and requires just a few ingredients and a bit of prep. 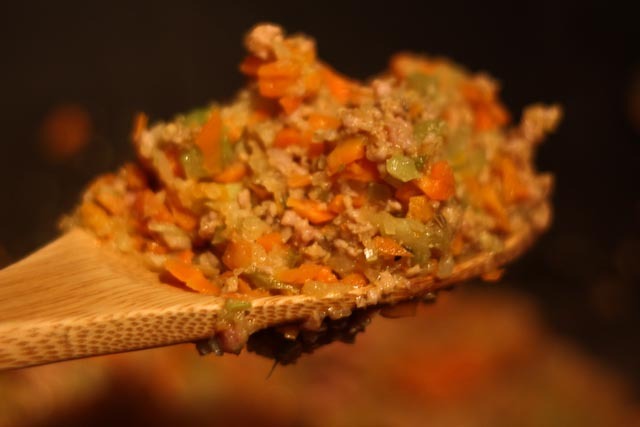 And finally, it’s incredibly healthy, low in calories and fat, and packs some serious nutrients! 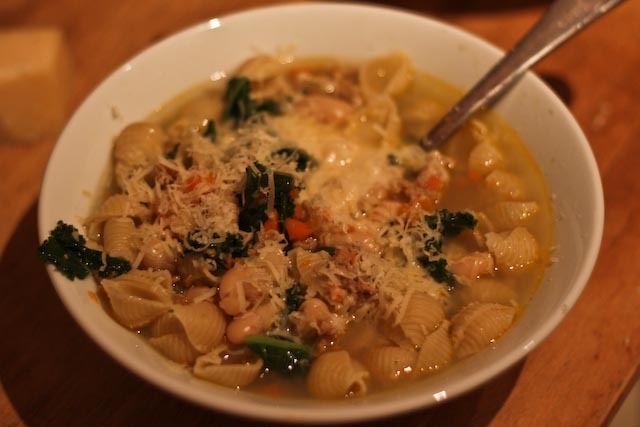 This soup is an all-around winner, and I hope you love it too! 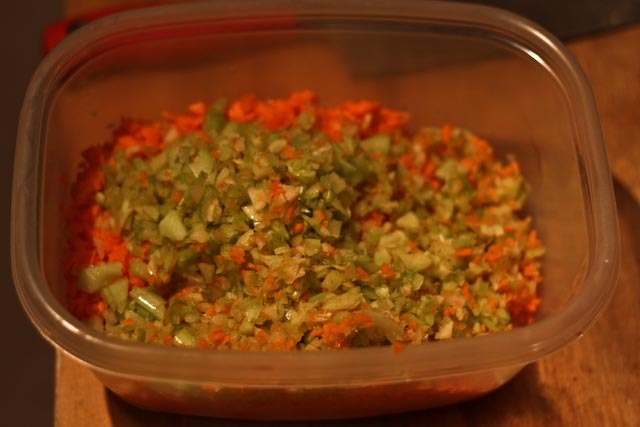 To cut down on prep time, I finely chopped the celery, carrots and onion in a food processor. 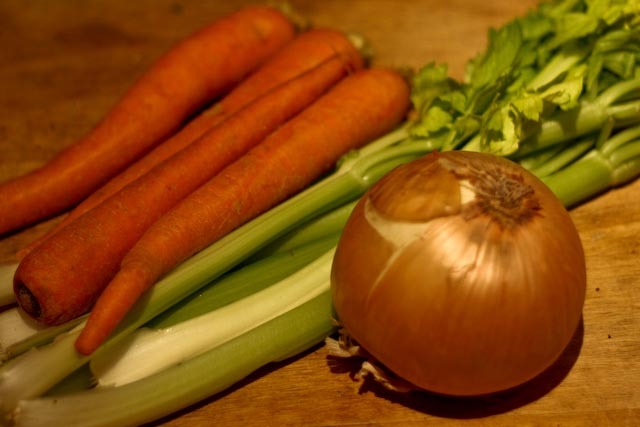 It takes just a few minutes, and also helps make the soup a little smoother without large chunks of the vegetables. You could easily dice the veggies by hand as well. The Italian sausage, garlic, onion, celery and carrots smell so delicious when they are sauteing. Yum! I used mostly fresh herbs, but you could easily use dried herbs. 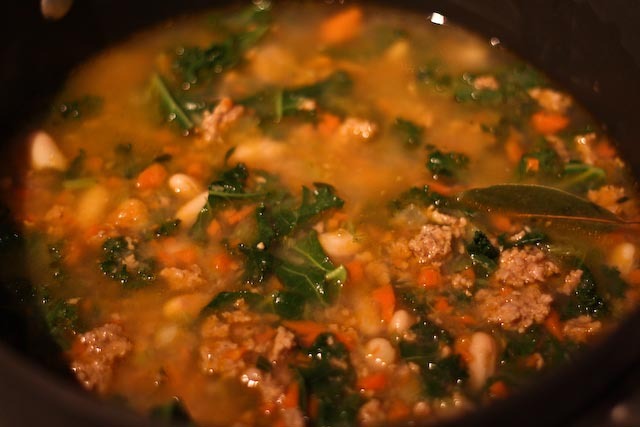 Kale adds a little depth to the soup as well as a ton of vitamins and minerals! One trick my mom taught me for making soups with pasta is to cook and store the pasta separate from the rest of the soup. 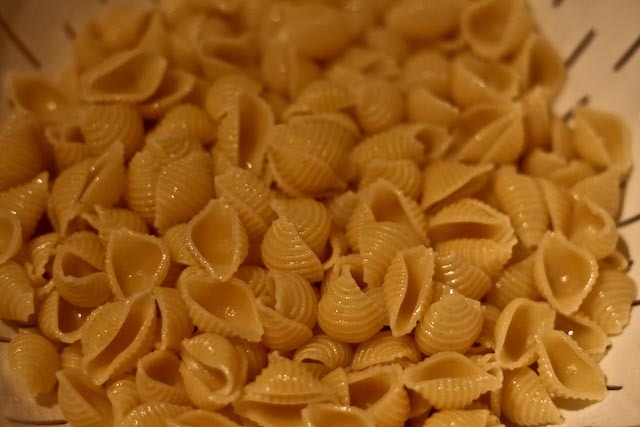 Most recipes call for you to cook the pasta in water as usual but then add the noodles into the soup pot. This often makes the pasta overcook and bloat as it continues to absorb more liquid. If you add the pasta into each bowl and store the pasta separately in the fridge, you can enjoy perfectly cooked pasta with your soup! Top it with a bit of freshly grated Parmesan – et voila! In a large pot, heat olive oil over medium heat. 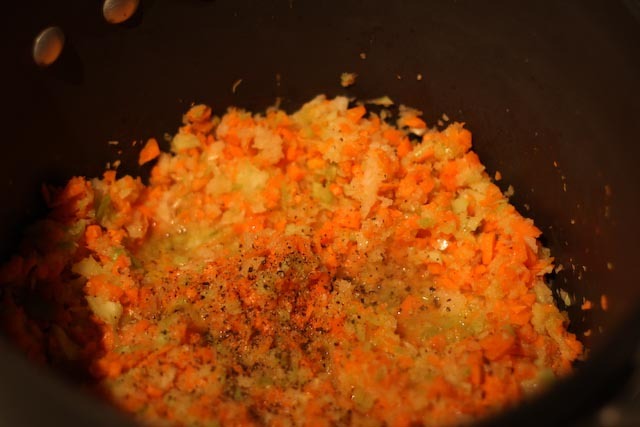 Add the onion, garlic, celery, and carrots and cook for a few minutes, stirring occasionally. Add turkey sausage and salt and pepper. Cook for a few more minutes, stirring occasionally, until the sausage is just cooked through. Add herbs, chicken broth, and beans. Tear kale leaves into bite-size pieces and add to the soup. Turn heat to low and cook for about 20 minutes, stirring occasionally, until the kale is tender. 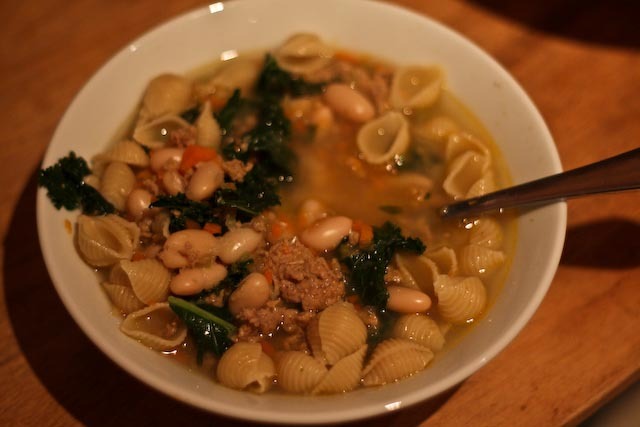 Serve in large bowls and add about 1/2 c pasta to each bowl, mixing it into the soup. 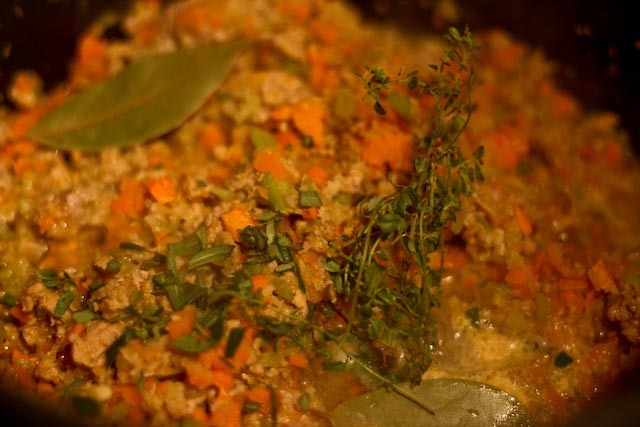 Be sure to remove the thyme sprigs and bay leaves. Top each bowl with freshly grated Parmesan cheese and serve warm.